Most people have an instinct to do good deeds. They want to help, offer support to the less fortunate, and contribute towards a good cause. Unfortunately, not everyone is able to contribute directly. Some don’t have much time on their hands to volunteer in charity or non-profit organizations. Others don’t have enough financial resources to support charities through monetary contribution. Fortunately, there are different ways to support such organizations without time or financial contributions. Programs like Amazon Smile can help people contribute without straining their finances or taking time away from a busy life. •AmazonSmile allows users to choose from among nearly one million charities so you can choose a cause you truly believe in. •The network is wide and many charities have adopted it. So if you want to donate to a local Las Vegas autistic children’s organization, they might already be a part of it. •This program is ideal for people who shop regularly on Amazon for even the most basic necessities. •You can trust the money will go to an organization of your choice. •Amazon has donated more than $12.9 million to organizations between 2013 and 2016, which has helped many small charities. Amazon Smile is a great idea and it has been implemented carefully to ensure everyone gets a fair chance. It is an opportunity for local, small-scale establishments to get some much-needed support. 1.Organizations can place the AmazonSmile button on their website or social media pages. The link will take them directly to Amazon website through the Smile handle. You can skip steps 2, 3, and 4 if you access the e-commerce site through an organization’s link. 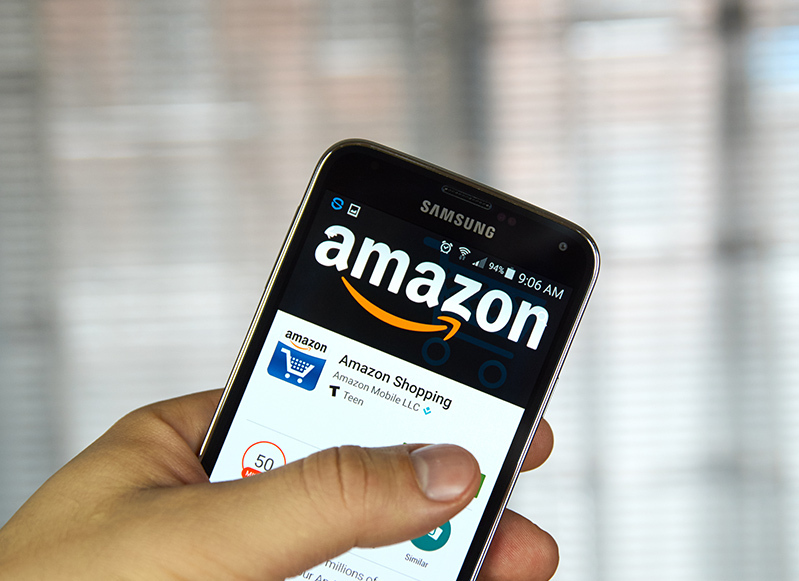 2.Shoppers can directly access smile.amazon.com and bookmark it so you land on the same page every time. 3.Sign into your Amazon account if you’re not already signed in. 4.Search for your favorite charity’s name and select them. 5.Proceed to shop like you normally would. Most items are eligible for charity donations but if a chosen item isn’t, Amazon will let you know. 6.Once the shopping is complete, and you check out, the site will show you how much goes to your chosen charity and how much they have received in the month from AmazonSmile. Unfortunately, this only works on desktop and mobile browsers. The option isn’t available on the Amazon app as of yet. However, there are ways to work around it. You can fill up your cart on the app with all the products needed. The cart items will be saved so you can switch to the website under the Smile handle and complete the transaction. You can also create a shortcut for the AmazonSmile website on your home screen and delete the app. That makes it easier to shop through the site and there’s no need to switch platforms. The extra step is worth the aid rendered to the charity organizations. Every time you make a purchase, 0.5% of the eligible product value is donated to the chosen charity. For example, if you have spent $2,000, $10 will go towards a charity. While this might not seem like much, every penny counts and can help people like autistic children in Las Vegas. Even if 10 people shop and spend the same amount under the Smile handle, the organization gets $100. This amount can be pretty substantial if all monthly or yearly purchases on AmazonSmile are taken into consideration. Users just need to do utilize a different website to carry out the transaction. This can provide consistent, reliable donations to small organizations outside of donation drives or events. A reliable flow of money goes a long way to help, even if it is a small amount. That 0.5% donation doesn’t add to the cost of the product, so you’re not spending more money. A $2000 cart value will still be $2,000 whether you shop under Amazon or AmazonSmile. Your only requirement is to shop as you always do on Amazon. Autistic children in Las Vegas don’t have enough support and their families often struggle to get help. Organizations working for the welfare of these children offer educational materials and support for parents, assistance with a child’s learning, and the possibility of socialization. Children get to participate in different events, learn new things in ways they can understand, and grow. These organizations also provide a safe environment for autistic children by making sure they’re not overly stimulated. All of these factors help the child and their family, which has a big impact on their quality of life. These organizations need substantial funds to remain afloat and consistent donations help with that. By shopping under the Smile handle, you can support children and their needs in a meaningful way. They can have better supplies, hire more trained staff, and ensure children have a safe space. All non-profit organizations require donations and support. You can donate to multiple charities through the AmazonSmile system so there’s no need to choose a favorite cause. This is a win-win situation for everyone involved, which is why Smile has become so popular with different organizations over the years. The set up is easy and donating requires no effort. If you want to use this system, head over to your favorite charity’s website and look for the button. That will make the process easier. Next Post Moving From California to Nevada?